If you’re moving home, going on a long trip, or just have some extra belongings and need somewhere to put them, self-storage can be a great solution for you. Self-storage has many great perks – like being able to access your stuff whenever you want or need. Usually, self-storage is also an economical and financially-smart way to stash your belongings – with affordable monthly or annual pricing options available. Want to save even more money while storing your stuff? One great way to do that is to avoid buying boxes. Yes – avoid boxes, which are often thought of as the best way to pack up your things before putting them away. Boxes can be a useful packing tool – but buying a ton of them can also be expensive, and take a long time to assemble and pack correctly. Instead of packing your belongings in boxes before you move them to a self-storage facility, why not try some of the packing ideas below? Take advantage of empty space in the furniture you’re storing! Use dressers or cedar chests to store linens, clothing, or other items that can be folded and made smaller. Storing soft items in dressers or drawers not only keeps the items protected and clean, but it maximizes the space you are using in your unit. You can also use dresser drawers packed with linens to store small, wrapped fragile items. To further maximize space in your storage unit, pack items in large appliances. For linens that don’t fit in drawers, fold them and place them in big items you are storing like washing machines or dryers. Clean your ovens and stoves well before moving them to storage, and they also make for great space to put your belongings while in storage. If you have large metal or plastic trashcans that you are keeping for your outdoor space, kitchen, or laundry room, clean them out and use them to store outdoor goods or cleaning supplies. Use trashcans to hold things like mops, shovels, hoes, rakes, brooms, etc. To maximize space, as well, you can stack trashcans one in the other, and place your items in the can at the top of the stack. 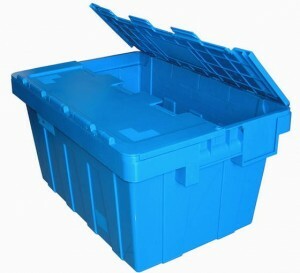 While perhaps not cheaper than cardboard boxes, large plastic storage containers that can be bought at home goods stores are a better long-term investment than boxes. Buy large plastic boxes with lids that snap onto them to make sure your belongings are sealed and safe. After you move your belongings out of self-storage, these plastic containers can be a great way to store items under furniture (like beds or couches) in your home and protect them from dust and dirt.